Welcome back to our blog page here at Valente Law! Charles Valente has been in this business for almost three decades and if he can say anything about his experiences, it’s that being a good attorney is so much more than just great execution in the courtroom. Of course, Charles Valente is no stranger to courtroom drama, but if business disputes and real estate disputes can be handled without the hassle, frustration, and expense of a courtroom experience, he’s always pushing for an outcome that makes that most sense for his clients. Valente Law, a Chicago institution, has been serving the windy city for 20 years and we’re so thankful to be making a difference in the city that we love. Whether you need help planning your estate, need an attorney for a business dispute, or you’re facing a real estate dispute, Charles Valente can help! Contact our Chicago law offices today to schedule a consultation and talk to Charles Valente more about your situation. We’d love to see if we can help! Business disputes are, unfortunately, an inevitable part of the business world. Whether you have a dispute with a competitor, a customer, an employee, a former employee, a vendor, or anything else, you don’t want a business dispute that should be easily solved to turn into a frustrating and expensive mess. When business disputes aren’t handled properly, business owners are often left holding the pieces. In today’s two-part blog, we’re going to take a look at some of the most common business disputes and some important things to remember about this frustrating, yet inevitable event in your business ventures. Continue reading to learn more! Disputes between business competitors is a story that isn’t unfamiliar to us. Nike picked up Michael Jordan in an effort to outsell Reebok, Central Pacific Railroad rushed to lay down an extra 10 miles of track in order to get the government funding that otherwise would have gone to Union Pacific, and Coke and Pepsi have been at each other’s throats for generations. As has been the case with many of these disputes between competitors, a third party competitor often finds a way to outshine both of the fighting parties while their focus was on destroying each other. Though your business disputes may not be as large scale as a dispute between GM and Ford, you still need to be able to find a resolution. No matter the cause of your competitor dispute, Valente Law is here to help you come to a resolution that you can get behind, and hopefully, one that benefits you most. Reach out to us for help with your business competitor disputes! Customer disputes can be anything from billing disputes to product dissatisfaction to injury claims to even death. In this day and age, with the easy spreading of reviews and testimonials from customers, it’s more important than ever to resolve customer disputes with as much class and poise as possible. If you have a dispute with a customer and you know that it’s time to bring on legal aid, contact Valente Law today. We’d love to help you navigate your customer disputes. Some of the most common business disputes with former employees involve the nature of the employee’s termination or the choice of the employee to giving trade secrets to the business’ competition. When an employee is let go from a company, there are often good, if not great reasons to have made the decision to terminate. However, when an employee feels that there was a legitimate grievance, and they pursue legal action, this dispute can get pretty messy. 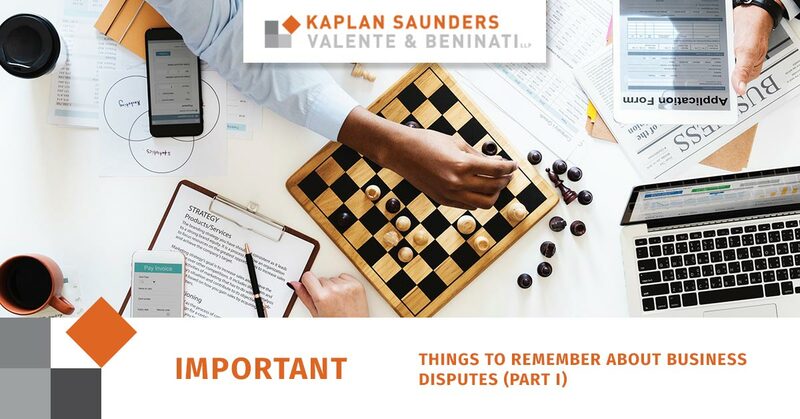 Because allegations from former employees can be extremely detrimental to a company if the complaints aren’t handled properly, we suggest that you call Valente Law at the first sign of a dispute with a former employee. When it comes to employees who are still working for the company, there are almost countless opportunities for someone to become disgruntled and bring about a dispute that could turn into a frustrating and expensive mess. Whether an employee brings about a conflict when it comes to pay, a sexual harassment claim, sexism, or other claims of unethical treatment, it’s important to protect yourself with a brilliant legal mind who specializes in business disputes of all kinds. Call Valente Law today for all of your employee disputes. Business disputes don’t have to completely break you as a business owner. With the right team of legal experts, you’ll not only be able to get through your disputes, you’ll be able to be stronger on the other side. No business is expected to handle their conflicts and disputes without the help of legal aid. When you know that you’re represented by a strong, experienced, professional attorney who is always working for you, you can rest assured that your business will survive any dispute it encounters. At Valente Law, we’re not afraid of your business disputes. We have almost three decades of experience in all kinds of legal venues and we’re equipped to help you get through your dispute with your company financials intact. Join us next time for part two of our blog series in which we’ll discuss a few more common varieties of business disputes that your company may encounter. In the meantime, check out our website to learn about Charles Valente, read about our services, and to contact us with questions!